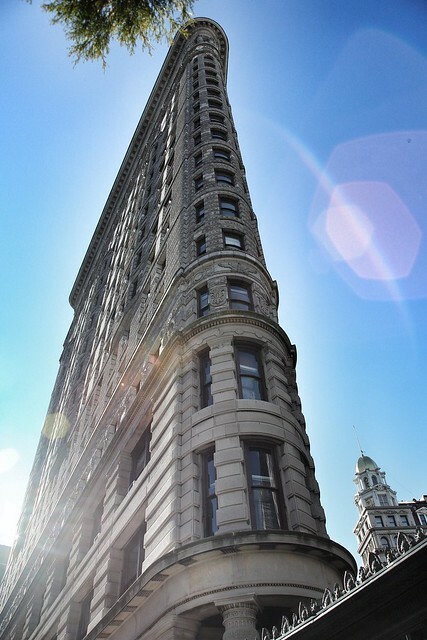 Close to the Eataly food emporium and Monroe Square Park stands one of New York's iconic buildings, the Flatiron. I captured this one with the Sigma wide-angle and the lens flare is natural. I did some post processing in Snapseed; their "drama" filter adds too much of a fake "HDR" halo around the building to my liking, but I love the color effect it produces, so it stayed. I've often admired this building, it was fun to try to capture it with full sun off to the left around 10:30 AM.